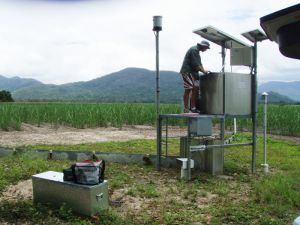 Paddock monitoring involves collecting run-off during actual rainfall events from a uniform portion of a paddock. This provides on-ground evidence of the effects of specific farm management practices on water quality. Paddock modelling involves modelling a suite of farm management scenarios that represent the management practice combinations that existed at the baseline and subsequent improvements to these practices across soils and climate zones. Results from some of the paddock trials are detailed in a series of case studies. A range of paddock monitoring and modelling reports are available through the Library.